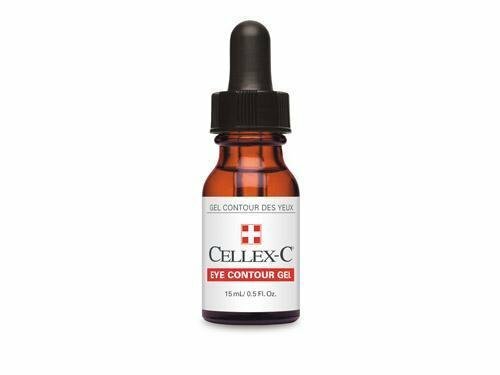 The skin around our eyes is a dead giveaway for our age, that's why we use Cellex-C Eye Contour Gel. The gel formula absorbs in an instant and immediately penetrates skin to boost elasticity and soften lines, wrinkles and crow's feet. Packed with a potent dosage of vitamin C, this antioxidant powerhouse brightens the skin around your eyes while enhancing collagen synthesis. The lines and wrinkles that age your complexion reduce in depth to give your skin a smooth texture and even tone. Water (Aqua), Ascorbic Acid, Acetyl Tyrosine, Zinc Sulfate, Sodium Hyaluronate, Caamellia Sinensis Leaf Extract.